This complex, which used to be an ancient mill complex selling electricity to the grid until . . . Currently used as a rescue centre for horses, ponies and lamas, this great property located . . . Fantastic opportunity to own a highly-successful bar/restaurant with chambres d’hotes or apartment rental opportunities - Magnac Laval (87). This very successful all-year-round business in located in the middle of historic Magac Laval . . . 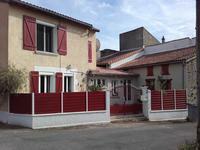 This well-renovated property with B&B potential, provides 176m2 of quality living . . . 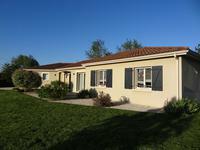 The property is situated within walking distance of all facilities in the well provisioned . . . This block of 8 apartments on four floors is located within walking distance of all amenities . . .
With the huge benefit if being on mains drainage and providing about a massive 190m2 of . . .
Providing 177m2 of habitable space on two levels, this 4-bedroom hamlet house comes with a . . .
A well decorated 3 bed house with an attic that can be renovated to double the size of the . . . These two side-by-side village properties with attached gardens benefit from being within . . .
Great investment! 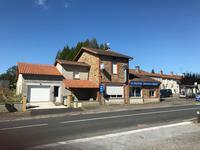 A takeaway-restaurant with tenant, 3 apartments, potential income of €1425/month in heart of Bellac. You could either live in the heart of this pretty and historic town and reap the income from . . . The property is situated on the edge of a small hamlet just 3.6 km (4 minutes) from the . . .
Providing 152m2 of quality habitable space on two floors, with a superb 6-windowed 90m2 attic . . . This well renovated 2 bedroom double glazed hamlet house, providing 92m2 of habitable . 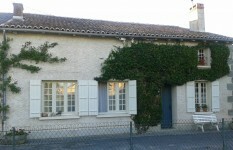 . .
An ideal property situated between Le Dorat and Bussiere Poitevine with a good sized garden . . . 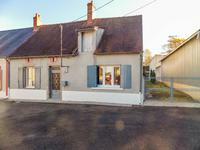 Situated just 6 km from Oradour Saint Genest itself and just 10 km from the historic town of . . . Situated within walking distance of a village with a bar/restaurant and only 5 kms from the . 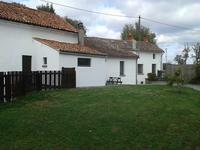 . .
Well renovated three bedroom cottage with attached barn (on two levels) with a 20m2 . . . 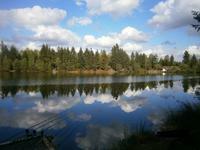 Situated in a very peaceful hamlet just 2.8 km from Saint Bonnet de Bellac (baker, two . . .
Set in the peaceful Limousin country with fields all around, this is a well presented . . . Situated in the village of Saint Bonnet de Bellac in the rolling Haute Vienne countryside, . . . 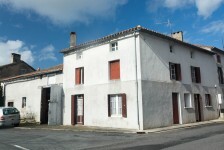 Very well renovated village property providing 150m2 of habitable accommodation on two floors . 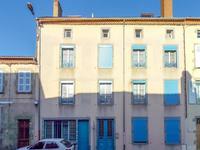 . .
Providing 105m2 of habitable space on two floors, this extremely well renovated, well . . .
Set on a small village green, this house is ready to move into and comprises: a . . . Situated in the commune of St Leger Magnazeix in the peaceful Haute Vienne countryside and . . . Situated in a small hamlet just 2.5 km from Bellac providing all facilities, this substantial . . .
A nice renovated two bedroom hamlet house set in its own garden, with a good sized barn, plus . . .
House with workshop and attached barn in a hamlet. 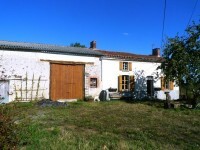 This 3 bedroom house with workshop and barn is situated in a hamlet 4 km from the town of . . . 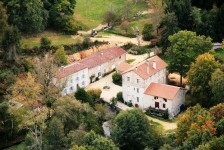 Situated on the edge of a small very peaceful hamlet just 3 km from Saint Bonnet de Bellac . . . Located just 4.4 km from Bellac ( for all facilities including schools), this peacefully . 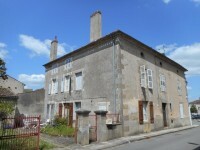 . .
Lovely 3 bedroom house in peaceful hamlet set in the Limousin countryside. A nice solid family home ready to move into, though in need of some modernisation. Near the . . .
A short walk from all amenities in a lovely, quiet historic town, this is a great chance to . . . Overall the property provides 158m2 of habitable accommodation on two levels. On the ground . . . This is a good price for this attractive house (within walking distance of village amenities) . . . 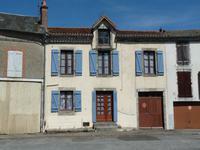 Situated in a small hamlet 6 km from the market town of Le Dorat in the Haute Vienne (87), . . . This would be a great project to renovate and bring up-to-date a bright and spacious . . .
Providing 118m2 of quality accommodation on two floors, this 3-bedroom village house comes . . . 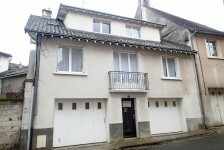 This 3 bed town house in the centre of Magnac-Laval offers you lots of options; it would make . . . Situated in a small hamlet just 5 km from the historic market town of Le Dorat in the Haute . . . Spacious town house in need of renovation and updating. The house has four rooms on the . . . 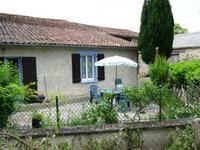 Situated in a small hamlet 9 km from the historic market town of Le Dorat with its collégiale . . . Currently providing 46m2 habitable space on one level, this pleasing cottage, with expansion . . . This pleasant, edge of hamlet property provides approx. 63 m2 of habitable accommodation on . . . This town house and former shop combination, with separate entrances but fully connected . . .
Good renovation project, detached property with lots of land and great views. 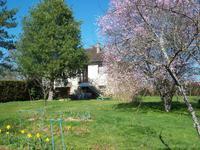 Little house with a large garden, in a hamlet in the heart of the Limousin countryside. In a very small hamlet set in beautiful countryside, this little house with a garden, would . . .
Land and an old stone, cottage, with an up to date CU to transform it into a delightful small . . .